Trillium Health Partners is a professional, caring, health care organization that promotes life, health and innovation. Trillium Health Partners is known for its innovative, can-do approach to providing quality patient care to the people of Mississauga and the surrounding region (approximately one million people). 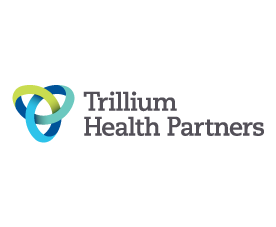 Trillium Health Partners is a regional leader in specialized programs for clinical genetics, renal, maternal-child care and oncology, as well as core clinical programs in general medicine, surgery, emergency, mental health, rehabilitation, obstetrics and gynecology, paediatrics and cardiac services. The Mississauga Academy of Medicine (opening August 2011) will be a partnership between the Faculty of Medicine at the University of Toronto, University of Toronto Mississauga, Trillium Health Partners. Trillium Health Partners supports the work of more than 4,700 staff, physicians, nurses and volunteers who handle over 700,000 patient visits to our location each year. Trillium Health Partners currently covers over 1 million square feet and is a 382-bed acute care inpatient facility, featuring a regional cancer and ambulatory care centre, a 24-emergency care centre, and a regional women’s and children’s health centre featuring an advanced level 2 neonatal intensive care unit and the largest paediatric oncology satellite program in Ontario outside of the Hospital for Sick Children. The Trillium Health Partners has consistently met Accreditation Canada’s national safety and patient care standards. Trillium Health Partners is also a provincial leader in reducing ER wait times.